Today’s Ipsos PA poll for Milan’s Corriere della Sera newspaper confirms a significant shift in Italian voting intentions, with the Movimento 5 Stelle opening up a 5.5 per cent lead of the governing PD – after a period when the country’s two biggest forces have bascially been polling neck-and-neck. The reported score of 32.3 per cent is Five Star’s best performance of 2017 after nearly 70 opinion surveys from 12 firms in this overpolled nation. The lead of 5.5 points is not the highest in absolute terms, but is close to it. The PD has also plunged in the latest surveys from IPR Marketing and Index Research, which show gaps to Five Star of 7 and 4.8 points respectively. Clearly the recent turmoil in the social democratic PD is taking its toll, following the resignation of Matteo Renzi as Prime Minister, the calling of a leadership election for 30 April, and the departure of around 40 left-wing parliamentarians to form the new Democratici e Progressisti party (MDP). The MDP appears for the first time in this Ipsos poll, opening with 3.3 per cent – exactly the figure the PD has lost since last month’s survey. There is very little movement for the other parties, with the Lega Nord and Forza Italia vying for second place on around 12 per cent, as in other recent polls. The centre-right NCD re-christened itself ‘Alternativa Popolare’ at its national party conference last weekend. Almost exactly one third of those interviewed say they are undecided or will not vote. A General Election must be held at the latest by 23 May 2018 under the Italian constitution, however speculation about an early poll persists. Fieldwork: 13.03-16.03.2017. Published: 20.03.2017. Participants: 997. Methodology: Mix of online and telephone interviews. 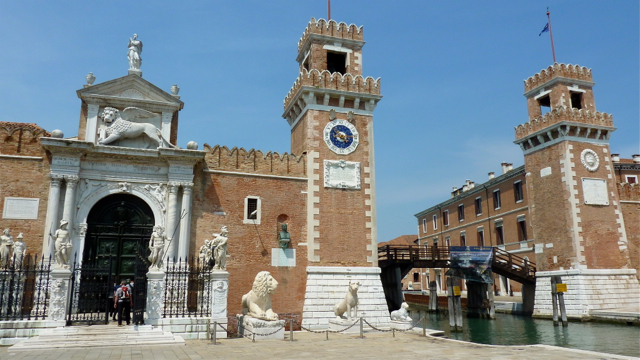 Image: Arsenale di Venezia, Veneto, Italy. Photo: Andrew Cornwell. All rights reserved.